The credit card benefits available to active duty military servicemembers are outstanding. Thanks to two laws called the Military Lending Act (MLA) and the Servicemembers Civil Relief Act (SCRA), military personnel and their spouses can access the best luxury cards with no annual fees. Chase and American Express have generously interpreted these laws and offer fee waivers on most of their cards. American Express waives all fees on all of their credit and charge cards, including business cards. Chase waives annual fees for military members on all of their personal cards (not business) opened after 20 Sep 2017. You get all the perks of these cards with no annual fees. We’re talking about hundreds of dollars a year in travel credits, Uber rides and UberEats, free hotel stays, free first/business class tickets, free airport lounge access, and the list goes on. In order to access all these benefits in the most efficient manner, you need to apply for these cards in a specific order. That’s because each card issuer has rules regarding how many cards you can have and how many cards you can apply for in a specific amount of time. For instance, Chase has a 5/24 rule. This means you can only open a Chase card if you have opened less than 5 credit cards in the previous 24 months from any issuer. This rule means you need to first open 4-5 Chase cards, then open unlimited American Express cards. Take your time and make sure you can meet the minimum spend required on each card so you get the bonus. Don’t go into debt, pay off your card weekly, and do not apply for too many cards at once. We’ll assume you have not had any credit cards before and little to no credit history. The first thing to do is get a secured credit card. If you already have a credit score over 600 then you can skip this step and go to Step 2. You can check your credit score for free on CreditSesame, Credit Karma, or with your AMEX Platinum (learn more here). This is a card that you put a small deposit down on when you open it. This ensures the credit company will be able to reclaim some money if you default. But you won’t, because you’re in this to reap the tremendous benefits towards the end of the plan. 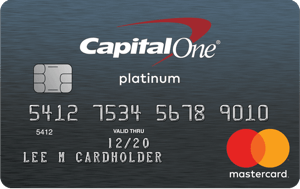 I recommed the Capital One Secured Mastercard (learn more), which has no annual fee. This is a great card to start building a history of responsible credit card usage. Since it has no annual fee, you can leave the account open forever to age your credit history. This helps you eventually get the much better luxury travel and cash back rewards cards. Note that this does take away one of your 5/24 Chase spots. You are now at 1/24. However, it is important to have a good credit history and credit score before moving on to the more luxurious cards. Now that you have built up a credit history, it’s time to start a relationship with Chase Bank. I prefer the Chase Freedom Unlimited for its simple 1.5% cash back on everything. The Chase Freedom is also great though because usually half the year you can get 5% cash back on gas, which tends to be a big expense for most military members. You can combine your Chase Ultimate Rewards on one card, so save your UR points on these lower tier cards. Consolidate all of your UR points on higher tier cards as you acquire them. Be patient and don't cash out your Ultimate Rewards just for cash. The CSR is one of the top travel cards with annual fee waivers. Chase only allows you to have one card in the Sapphire brand of cards. For military members with annual fee waivers it probably makes sense to go for the top tier card and get the Chase Sapphire Reserve. You might also consider a Chase Sapphire Preferred, as it offers a higher sign up bonus (60,000 Ultimate Rewards points) than the Sapphire Reserve. After one year of holding a Sapphire Preferred, you can upgrade it to a Reserve to earn 3x on travel and restaurants and the $300 annual travel credit. It just depends if you think you will get more value out of the 10,000 extra Ultimate Reward points or a $300 travel credit. If you value Ultimate Reward points at more than 3 cents per point, than it makes sense to get the CSP and then upgrade to a CSR. Personally, if I was starting building my credit card empire again, I would get the Chase Sapphire Preferred and the larger sign up bonus, then upgrade to a Chase Sapphire Reserve 1 year later to get the recurring $300 annual travel credit, 3x points on travel and restaurants, and the excellent travel insurance. Next, pick from the remaining Chase cards to fill your 5/24 slots. If you fly domestically, getting a Southwest Companion pass is a great option. United cards can be good, especially if you fly them often for TDYs. If you have a secured card, a Chase Freedom or Freedom Unlimited, and Chase Sapphire Reserve, you should be able to pick up 2 more Chase cards to max out your 5/24 limitation. Pick any of the two cards below, depending on your travel/cash back goals. 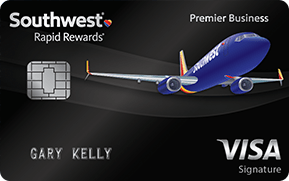 Southwest Airlines credit cards are a great option. If you earn 110,000 Southwest miles in one calendar year, you earn a companion pass for the rest of that year AND the following year. For example, let's say you open the Southwest Rapid Rewards Priority Credit Card (40,000 welcome bonus points) and the Southwest Airlines Rapid Rewards Premier Business Credit Card (60,000 welcome bonus points). If you meet the minimum spend for the welcome bonus on both these cards, ($4000 total) you are only 6000 points shy of the 110,000 points required for the companion pass. If you open these cards in Dec 2018, complete your spend by February 2019, you will have the companion pass for all of 2019 AND 2020. This is a huge benefit! Note that you can only get the bonus on one personal Southwest card per person per 24 month period. Business cards do not count against this limitation. Whichever card you didn't get in Step 2, now is a good time to pick up the other. 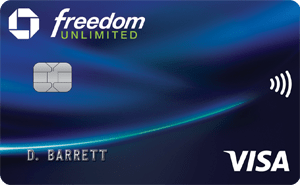 Learn more here the Chase Freedom or learn more here about the Chase Freedom Unlimited. Now that you've exhausted your Chase options, it's time to move on to the best luxury cards available: American Express Platinum cards. You need to start building your AMEX Platinum collection to reap annual benefits and welcome bonuses worth thousands. Start with the regular AMEX Platinum. Next, open an AMEX Gold card and after one year upgrade it to a Platinum. The benefits of Platinum cards are additive, so when you add another Platinum card to your Uber account, you get $30 of monthly credits ($70 in December). Finally, open a AMEX Green card. This is another AMEX charge card that you can upgrade to a Platinum card after one year. From here on out, keep learning about the credit card reward space and apply for cards as they come available in the programs you like and use. Sign up for my free, 5 day email based credit card course to begin your journey. You can focus on hotel cards and get free Hilton Diamond Status by holding a AMEX Hilton Honors Aspire card. You can earn dozens of free night stays with the full AMEX Hilton line up: Aspire, Ascend, and Honors. You can earn over 300,000 Marriott points with the 3 Marriott Bonvoy cards: Brilliant, Boundless, and Business. All the Hilton cards can earn you over 350,000 Hilton points. 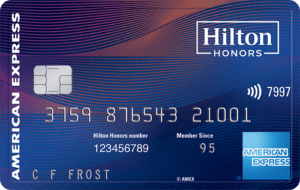 The AMEX Hilton Honors Aspire card is a powerhouse. I took my family out to dinner at the Hilton Surfers Paradise Resort in Australia and applied the entire $250 resort credit. Free dinner for 6! The complimentary diamond status and no annual fee for US military servicemembers makes this a no-brainer card for SMs. Learn more about this and other Hilton AMEX cards with no annual fees for military. Learn more about all 3 of the Marriott cards available with no annual fees for military personnel. Earn up to 50,000 Bonus Points – 25,000 Bonus Points after you spend $3,000 on purchases in the first 3 months from account opening. Hyatt is an awesome hotel brand that really treats loyalty members right. Free nights start at just 5000 points, so 50k bonus points could earn you 10 free nights at excellent hotels around the world. You can earn heaps of Delta points with the AMEX line of Delta co-branded cards. Learn more details about the AMEX Delta cards with military annual fee waivers in this article. Being in the military comes with many perks and benefits. Chase and AMEX’s interpretation of the MLA and SCRA open up a tremendous opportunity to the above-average military servicemember. The total value of all of these cards is well over $20,000. Take your time, hit all of your minimum spending so you get the bonuses, and don't get too many cards at once. NEVER accumulate debt. Pay your card off in full once a week. Good luck applying and let me know of your experience in the comments! Yes, Citi Prestige is waiving annual fees for military under MLA. That’s great info Spencer, thank you! If you are the primary finance person in the family, do you just have the log ins for the CC’s on which your wife is the primary acct holder so you can track the activity? Do you ever close out the cards whose benefits you have received and which you are no longer using? I know you don’t really do the dollar tracking budget (based on past post), how do you track the family expenditures…monthly? weekly? Sorry for all the questions…taking notes and trying to streamline the process! Interesting to note- Just recently found out that if a military member OR spouse applies for AMEX Plat or Chase Reserve, is accepted and then adds the spouse as the secondary user, the secondary user can no longer apply for the benefits of the card AND it counts against their 5/24 rule count. It may be better for each partner to apply seperately, each be the primary user, to get the full benefits. May need to stagger the applications for spending goal purposes. 1. Yes, as the primary finance person in the family we share our log in details. She allows me to login to her accounts to make payments and keep track of the cards. 2. Yes, I close cards frequently if I am no longer receiving the benefits from the cards. Especially if the card charges an annual fee. Thankfully, because annual fees on most Chase and all AMEX cards are waived for US military, I don’t have many cards that charge an annual fee. 3. I don’t really track family expenditures any more. We spend money on what’s important to us (food, travel) and don’t spend it on things we get little pleasure from (gadgets, alcohol, cable, cars). Budgeting is an annoying chore to me. We invest 50% of my military paycheck. We save >95% of my wife’s paycheck. I consider that a 90% solution for 10% of the effort (Pareto’s principle). Could we eek out a little more savings? Probably, but why? We have no debt, we will be financially independent in a few years, and we enjoy our life. We save the dollars so we don’t have to count the pennies. At this point saving $100-200/month is not going to make us FI that much quicker. And at what cost to time, effort, and stress? Our budget is pretty stable at this point. We pay ourselves a “marriage premium.” Like an insurance premium that you pay to the insurance company. This is money we can spend on whatever we want without the other partner questioning it. Mine usual goes into my hobbies (cycling, gaming, fitness). My wife usually saves her premium and buys her friend’s flights so she can holiday with them. Joint expenses like food, restaurants, going out to eat, gas for the car just come out of the joint money. We discuss what we consider a joint expense and what it considered a marriage premium expense. If we can’t agree, which is rare, we pay out of our marriage premium. Our marriage premium when I was a young lieutenant not making that much was $50/month each. Now it’s grown to $500/month each. We set aside money every month for the recurring expenses (cell phone plan, internet, house cleaner, Netflix, Spotify, Amazon Prime, renters and car insurance) and then allow ourselves to spend whatever is left in the checking account. Once a week I pay off the credit cards. If we ever dip into a savings account, for instance if we have a large airfare purchase coming up, I make a note of it so we pay ourselves back. Usually expenses are high in one month and low in the next. It all seems to work out in the end. 4. I don’t think your statement is true, but I’d be happy to be proven wrong. As far as I know, authorized users CAN open new accounts with their own Social Security number (SSN) and receive the welcome bonus. I have done it many times myself and recently. However, you are correct that being added as an authorized user CAN count against your Chase 5/24 rule, so be careful with that. Great and useful post. I did have two questions: 1. Do you feel like with more cards open and available, there is more chance for fraudulent activity and identity theft? 2. How do you keep track/use/store all of these cards? How do you track the spending/payment activities on so many? We have the USAA Limitless, Chase Reserve, AMX Plat, Amazon and I feel like I’m already at capacity tracking spending/payment on just those four. Thank you! 1. No. Fraud prevention is really quite good these days and all of my cards have zero liability for fraudulent charges. If a card is ever stolen or compromised, I simply phone the company, dispute the charge, and order a new card to be delivered. It’s happened a few times in the last 10 years and is always resolved within 20 minutes on the phone. New cards are delivered in 2-7 days depending on whether the company expedites the card. Chase waives annual fees for AD military!